Hamilton Beach is recalling about 300,000 classic chrome 2-slice toasters. The heating element in these toasters can remain energized indefinitely when an item is placed in the toaster which may ignite the contents, posing a fire hazard if the toaster is near flammable items. Hamilton Beach has received 15 reports of toasters that did not pop-up as intended, including three reports of minor damage to kitchen cabinets. There were no reports of injuries. Mass merchandisers and department, grocery and home center stores nationwide and various online retailers sold the toasters from February 2008 through June 2011 for between $30 and $40. They were made in China. Consumers should immediately stop using the recalled toasters and contact the firm to receive instructions on how to obtain a free replacement toaster. For additional information, contact Hamilton Beach at (800) 379-2200 anytime, or visit the firm's website atwww.hamiltonbeach.com. 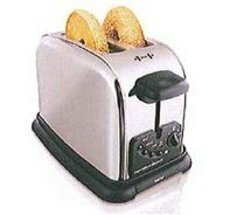 General toaster safety information available from Hamilton Beach at (http://tinyurl.com/43va5sd) (pdf). 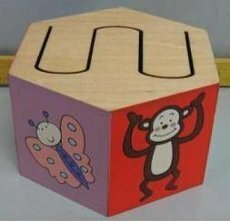 Cost Plus is recalling about 1,000 wooden animal drugs. The paint used on the drum is in excess of the maximum allowable level of 90 ppm, a violation of the federal lead paint standard. Cost Plus World Market stores sold the drums nationwide from December 2010 through May 2011 for about $7. They were made in China. Consumers should immediately stop using the toy and return it to Cost Plus World Market for a full refund. About 240,000 Adventure Playsets Wooden Swing Sets are being recalled because the wood in the posts of the fort sections on the swing sets can weaken due to rotting, posing a fall hazard. It's the second recall for the swing gets. About 275,000 were recalled ini November 2009. Adventure Playsets has received more than 500 complaints reporting concern over the weakened wood in the 2x4 plastic-coated uprights. One report of a fall was received when the ladder failed resulting in bruises and scratches. The swets were sold by Academy Sports (the Yukon); Mills and Menards (the Ventura/II) all from 2005 to 2007; Mills (the Belmont) in 2004; Toys-R-Us (the Bellevue/II); and Walmart (the Tacoma/II, Durango/II, and Sedona). The units sold for $300-$600. They were made in the United States. Topson Downs of California is recalling about 2,100 Bar III dresses sold at Macy's. The dresses fail to meet the federal flammability standard for wearing apparel, posing a fire hazard to consumers. The dress is fully lined with a sheer rayon outer layer. There is a white label with "Bar III" written in black on the inside back of the dress. The dress has a checkered, multi-colored, and black pattern called "Mint Chili Combo" and was sold in five adult sizes, ranging from extra small to extra large. The dresses were sold by the Impulse Department of Macy's stores nationwide and on macys.com from March 2011 through May 2011 for about $60. They were made in India. Consumers should immediately stop using the recalled dresses and return them to any Macy's for a full refund. Nature Relief and the FDA are recalling Nature Relief Instant Wart and Mole Remover. FDA has advised that the active ingredient, calcium oxide, can cause severe burns of the skin, particularly to areas of thin or sensitive skin, such as the face, area around the eyes, and genitalia. FDA has received a report of an injury associated with the use of this product, including burns to the skin that required medical attention. Consumers who purchased Nature Relief Instant Wart and Mole Remover should immediately discontinue their use and discard the remaining contents. It is recommended that consumers discard the product and contents inside a plastic bag and place it into the garbage for safe disposal, in order to expedite the recall process and avoid further handling. Consumers are advised to have moles reviewed by licensed medical professionals and ensure they are not cancerous. GAMMA Sports is recalling about 2,000 Quick Kids Junior Tennis Racquets. The orange grip tape on the tennis racket's handle contains high levels of lead. Lead is toxic if ingested by young children and can cause adverse health effects. This recall involves Quick Kids 23-inch aluminum junior tennis racquets with orange tape on the hand grip. Recalled racquets have lot number"F:3:10:08" stamped onto the bottom of the racquet grip below the "G."
The racquets were sold online at www.gammasports.com, www.atssports.com and www.holabirdsports.com from December 2010 through March 2011 for about $15. They were made in China. Consumers should immediately take the recalled tennis racquets away from children and contact GAMMA Sports for a free replacement grip kit. GAMMA Sports is directly contacting all known purchasers of the recalled tennis racquets. 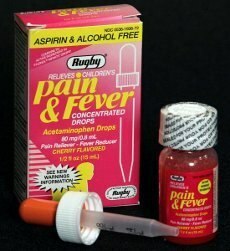 Altaire Pharmaceuticals is recalling about 898,000 packages of Rugby Children's Pain & Fever Concentrated Drops. Drug stores, grocery stores and other retailers sold the product nationwide between January 2009 and June 2011 for about $4. It was manufactured in the United States. 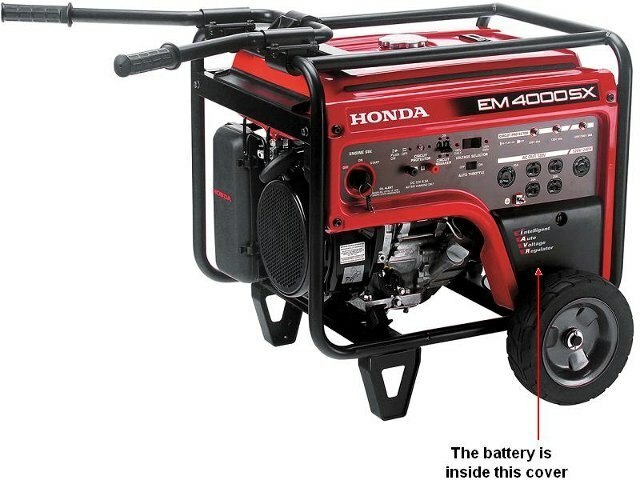 American Honda is recalling about 2,500 portable generatorss. The hazard labels attached to the batteries used on the generators are printed in Japanese instead of English. As a result, consumers handling the battery may not be able to adequately avoid risks associated with the batteries. Honda power equipment dealers sold the generators nationwide from January 2011 to March 2011 for between $2,250 and $2,890. They were made in China. 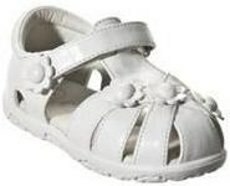 Target is recalling about 52,000 Circo Aloma infant girls sandals. The decorative plastic flowers can detach, posing a choking hazard. Target stores and Target.com sold the shoes nationwide from January 2011 to May 2011 for about $10. They were made in China. 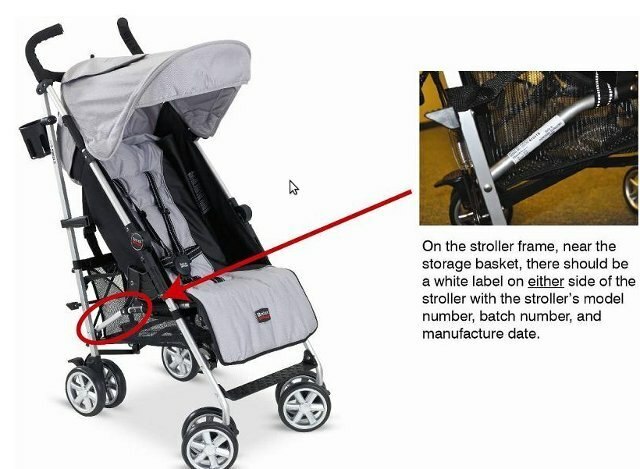 Britax is recalling about 20,000 B-Nimble strollers. An audible click heard when the brake pedal is pressed can give a false impression that the brake is fully engaged when it is not. When the brake is not engaged, the stroller can move unexpectedly posing a risk of injury to the child occupant. Britax has received seven reports of the brake not being fully engaged. No injuries have been reported. This recall involves B-Nimble umbrella strollers manufactured on or after August 1, 2010. Strollers included in the recall have model numbers U311771, U311773, U311775 and U311780. The date of manufacture labels and model numbers can be found on the lower frame/tube on either the left or the right side. The strollers were sold in a variety of colors including black and silver, Cowmooflage (black and white), green and red. Juvenile product and mass merchandise stores sold the strollers nationwide and online retailers between September 2010 and June 2011 for about $200. They were made in China. Dole Fresh Vegetables is voluntarily recalling 2,880 cases of DOLE Italian Blend salad with Use-by Date of June 19, 2011, UPC code 7143000819 and Product Codes 0049A157201A, 0049A157201B, 0049A157202A, 0049A157202B, 0686A157202A, 0686A157202B and 442 cases of Kroger Fresh Selections Italian Style Blend salad with Use-by-Date of June 19, 2011, UPC code 1111091045 and Product Codes A157201A & A157201B, due to a possible health risk from Listeria monocytogenes. No illnesses have been reported in association with the recall. 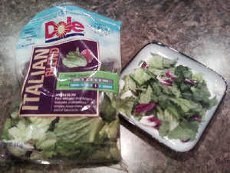 No other Dole or Kroger salads are included in the recall. Only the specific Product Codes, UPC codes and June 19, 2011 Use-by-Date of Italian Blend salads identified above are included in the recall. Consumers who have any remaining product with these Product Codes should not consume it, but rather discard it. Retailers and consumers with questions may call the Dole Food Company Consumer Response Center at (800) 356-3111, which is open 8:00 am to 3:00 pm (PDT) Monday - Friday. Napa Home & Garden is recalling about 460,000 bottles and jugs of Pourable NAPAfire and FIREGEL Gel Fuel. The gel fuel can ignite unexpectedly and splatter onto people and objects nearby when it is poured into a firepot that is still burning. This hazard can occur if the consumer does not see the flame or is not aware that the firepot is still ignited. Fuel gel that splatters and ignites can pose fire and burn risks to consumers. Napa is aware of 37 reports of incidents, including 23 burn injuries to consumers, some of them serious. The gel was sold by Bed Bath & Beyond, Shopko, Restoration Hardware, specialty and gift shops, furniture stores, and home and garden stores nationwide, as well as through Amazon.com, home and garden catalogs, and home decorators and landscape architects between December 2009 and June 2011 for between $5 and $78. Consumers should immediately stop using the pourable gel fuel in firepots and return all bottles or jugs to the retailer where the consumer purchased the fuel for a full refund. A retrofit for the Napa brand firepots is being evaluated and may be available in the near future. 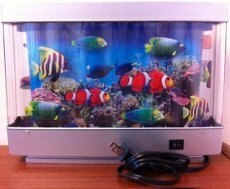 Christmas Tree Shops is recalling about 35,000 Animated Safari and Aquarium Lamps. Defective wiring in the lamps can cause an electrical short, posing fire and shock hazards to consumers. Christmas Tree Shops has received three reports of sparking. No injuries or property damage have been reported. This recall involves Safari and Aquarium themed lamps with UPC numbers 000015556905, 000015618955, 000015821591 and 000015821607 printed on the price label on the cardboard packaging. The decorative lamps are silver and feature rotating films with aquatic and safari scenes. While there are no brand markings directly on the product, "Made in China" is printed on the bottom of the lamp. Christmas Tree Shops stores sold the items primarily in the New England, Mid-Atlantic and Midwest regions from December 2009 through May 2011 for between $7 and $8. They were made in China. Consumers should immediately stop using the recalled lamps and return them to Christmas Tree Shops store for a full refund. MTD is recalling about 14,000 TrimmerPlus Edger Attachments. The steel shaft that drives the edger blade can break during use causing the edger blade to detach. If the blade detaches, it can hit the user or bystanders, posing a laceration hazard. 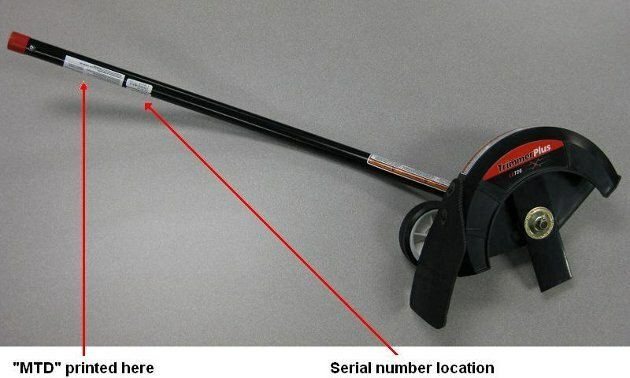 This recall involves MTD TrimmerPlus™ Edger Attachment Model 41AJLE-C092 LE720. The edger is sold separately as an attachment and can be attached to most major brand attachment-capable trimmers. The edger is used to cut grass along an edge such as a driveway or sidewalk. "TrimmerPlus" and "LE720" are printed on the blade's housing. Only certain serial numbers "1C##1DR####" through "1D##1DR####" are included in the recall. The serial number and "MTD" are printed on white labels on the edger's pole. Lowe's and other hardware and home improvement stores sold the attachments nationwide and on the Web between March 2011 and April 2011 for about $70. They were made in Mexico. Consumers should immediately stop using the recalled MTD TrimmerPlus™ Edgers and contact MTD to receive a free replacement. 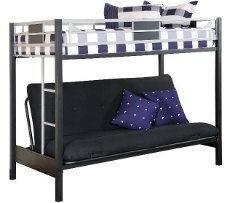 Big Lots is recalling about 30,000 metal futon bunk beds after a three-year-old boy's death. .
Children behind the futon or in the ladder area of the bunk bed can get entrapped when the futon and its metal frame are lowered from the seated to the flat position. This is what happened to a three-year old Burlington, Iowa boy who died when he became entrapped at the head and neck in the recalled bunk bed in March of 2010. The weight of the futon’s metal frame prevented the child from breathing and escaping. CPR was administered, but the child died at the hospital due to compression asphyxiation. The bunk beds have an additional hazard, federal safety regulators said. The space between the last rung on the bunk bed’s ladder and the futon mattress is too small, which can allow a child’s body to pass through, but not the head, posing a head and neck entrapment hazard. The company said that as the locking hubs wear, the wheels could loosen, increasing the risk of a crash. Dealers will replace the locking hubs and wheels with an improved design free of charge. 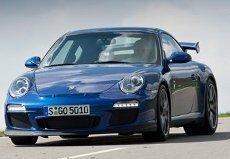 Owners can contact Porsche at 1-800-767-7243. 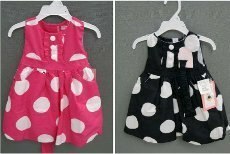 TJX is recalling about 24,000 Emma's Garden polka dot girls' dresses. The decorative buttons on the front of the dress can detach, posing a choking hazard. This recall involves the Emma’s Garden® polka-dot dresses. The girls’ dresses in sizes 12 months to 5T were sold in black and white and pink and white. There are three decorative buttons which are round, white and approximately ¾ inch in diameter. Dresses sold in the United States have neck tags bearing tracking number TJX-80327TDS1. T.J. Maxx sold the pink and white design and Marshalls sold the black and white design in the United States from February 2011 through May 2011 for about $13. Winners stores sold both designs in Canada, from March 2011 through April 2011 for about $17. They were made in China. About 600 Abilitations aDOORable swing bars are being recalled. A welded eye hook on the swing bar can break, posing a fall hazard. 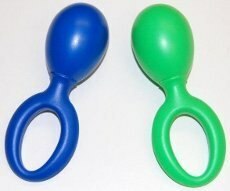 Sportime has received three reports of children falling when the welded eye hook released. Two minor injuries were reported including one report of rug burn after falling from a swing attached to the swing bar. Sportime sold the units in Georgia from January 2009 through March 2011 for about $60. They were made in Taiwan. Consumers should stop using the recalled swing bars immediately and contact Sportime to receive a full refund for the swing bar and additional attachments sold with the swing bar. 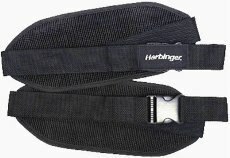 Harbinger Fitness is recalling about 4,000 Ab Straps. The plastic buckle on the ab straps can break, posing a fall hazard to consumers. There were two reported incidents of straps breaking. Both incidents resulted in lacerations to consumers' heads and necks. The ab straps were sold online at Bodybuilding.com and Amazon.com, and at Second Wind Fitness, Play It Again Sports, Advantis Nutrition, and other general sporting goods and fitness specialty stores nationwide from August 2006 to April 2011 for about $20. They were made in China. Consumers should immediately stop using the product and contact Harbinger for a free replacement. Calphalon is recalling about 217,000 Contemporary Cutlery Knife Sets. The tips of the 8- inch slicing knife and/or the 8-inch bread knife can protrude through the bottom slot row on the wooden block holder, posing a laceration hazard. Calphalon has received one report of a cut finger injury. This recall involves all 17- and 21-piece Contemporary Cutlery Knife Sets with model numbers KNS17C and KNS21C. The knife sets were manufactured from August of 2007 through May 1, 2011. The recalled cutlery sets do not have model or date code markings on the wooden block although all sets have the "Calphalon" logo stamped in black on the front. 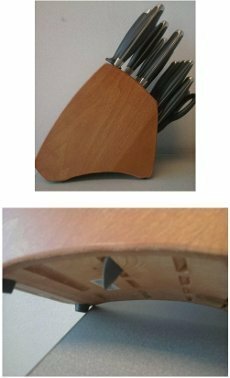 Knife block sets with a three digit number imprinted on the underside are not included in this recall. The cutlery sets were sold by Macy's, Bed Bath and Beyond, Belk, Bloomingdales, Crate and Barrel, Dillard's, Kitchen Collection, Cutlery and More, Carlson Marketing, Maritz, Hinda, Calphalon Retail Outlets and stores nationwide; online by Amazon, Cooking.com; and in Chef's Catalog from from 2007 through May 2011 for between $200 and $300. They were made in China. GE is recalling about 90,000 Zoneline Air Conditioners and Heaters. An electrical component in the heating system can fail, posing a fire hazard to consumers. General Electric authorized representatives and HVAC distributors sold the units nationwide from March 2010 through March 2011 for between $1,000 and $1,200. They were made in China. 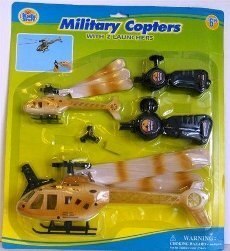 About 24,000 toy helicopters sold at Rite Aid stores are being recalled. The plastic blades of the helicopter can detach during operation, posing a laceration hazard. Three incidents were reported, two to Excite and one to CPSC. Two of these included laceration injuries. Rite Aid Corporation stores sold the copters nationwide from January 2011 through May 2011 for about $7. They were made in China. Consumers should immediately take the recalled helicopters away from children and return the product to any Rite Aid store for a full refund. General Motors is recalling about 47,000 SRX vehicles from the 2011 model year because of a problem with the airbags. The company said the right rear occupant might not be protected and could suffer injuries in certain types of crashes. GM dealers will reprogram the sensing and diagnostic module free of charge when the recall begins in mid-June 2011. Husqvarna is recalling about 1,600 yard tractors with the TuffTorq K46LD transaxle. The yard tractor's transaxle can experience intermittent drive failure, posing a risk of reduced or lost braking ability. 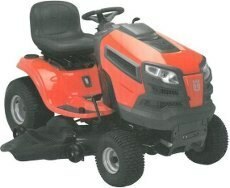 This recall involves orange, Husqvarna yard tractors with TuffTorq K46LD transaxle. Yard tractors included in the recall have model numbers YTH23V42LS and YTH24V48LS and serial numbers ranging from 050110A001000 to 123110D999999. The first six digits of the serial number represent a date code. Tractors included in the recall have a serial date range of May 1, 2010 through December 31, 2010. Model and serial information is located on an identification plate attached to the underside of the seat. Husqvarna authorized dealers sold the tractors nationwide from May 2010 through December 2010 for between $2,300 and $2,800. They were made in the USA. Consumers should immediately stop using the recalled yard tractors and contact Husqvarna to schedule a free repair at an authorized Husqvarna dealer. 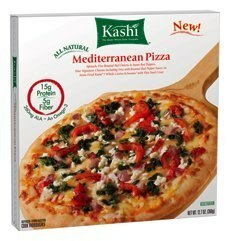 Kashi is recalling approximately 11,000 cases of frozen pizzas, including Mediterranean Thin Crust Pizza, Roasted Vegetable Thin Crust Pizza, and Mushroom Trio and Spinach Thin Crust Pizza, because they may contain pieces of plastic in the crust. No other Kashi frozen pizzas or other products are included in the recall. The company, a wholly-owned subsidiary of Kellogg with about 60 employees, said that no consumer complaints have been reported. The pizzas were distributed nationwide through U.S. grocery stores. Consumers may contact the Kashi Consumer Response Center at 877.864.3521 from 8 am to 6 pm ET, or visit www.kashi.com. Quality Bicycle Products is recalling about 100 Civia bike racks. The rack’s mounting bracket can crack or break. When this happens, the rack can fall onto the bicycle’s front wheel, posing a fall hazard to the rider. The firm has received one report of a rack mounting bracket breaking while the rider was on the bicycle, resulting in minor cuts. Independent bicycle stores sold the racks nationwide from December 2009 through February 2011 for about $175. They were made in Taiwan. Consumers should remove the rack from their bicycles immediately and contact the store where purchased for a full refund or replacement. 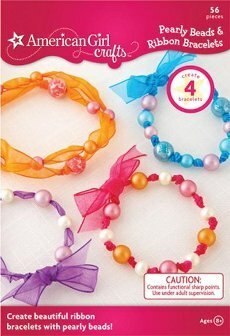 EKSuccess is recalling about 75,000 American Girl Crafts Pearly Beads & Ribbon Bracelets kits. The surface coating on some of the beads contains excessive levels of lead, which is prohibited under federal law. Michaels Stores and other retailers sold the kits nationwide from September 2009 through June 2011 for about $8. They were made in China. Consumers should immediately take the recalled kits and any finished bracelets made from the kits away from children and contact the company for a full refund. Toyota is recalling some Sienna and Venza vehicles from the 2011 model year. The company said there is a possibility the drive shaft could break because of insufficient heat treatment. If the drive shaft breaks, the vehicle would lose power without warning, possibly causing a crash. Toyota dealers will inspect the drive shaft and, if necessary, replace it at no charge. The recall is expected to begin in mid-June 2011. Owners may contact Toyota at 1-800-331-4331. Toyota is recalling about 53,000 Priuses from the 2001-2003 model years. The company said the steering linkage may loosen, causing reduced power steering when making a left turn. 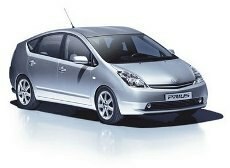 Dealers will replace the nuts in the steering linkage when the recall begins in early July 2011. About 10,000 Gripper Shaker musical instruments are being recalled by Woodstock Percussion. The handle can detach from the shaker, exposing a rough edge and posing a laceration hazard. The detached handle also exposes small steel pellets and a plastic plug which pose choking hazards. The company received one report from a consumer that the handles on two Gripper Shakers detached. No injuries have been reported. The instruments were sold through Mail-order catalogs, websites and retail stores nationwide between August 2010 and March 2011 for about $5. They were made in China. About 35 Beeni Baby Hats are being recalled. A baby can spit up during use, posing an asphyxiation hazard. The recalled baby hats are made of cotton and spandex. They have two straps sewn to the sides and a removeable plastic pacifier holder. The hat is available in sizes small, medium and large, and in pink, blue, green, flower print, blue stripe and blue print. Model number 125867 is on a tag sewn into the back inner rim of the cap. The hats were sold at Beeni Baby’s website www.beeni.net from January 2009 through May 2011 for about $25. They were made in the United States. Consumers should immediately stop using the hats and contact Kahn Enterprises to receive a full refund. Kahn Enterprises will provide consumers with a postage paid label to return the product. 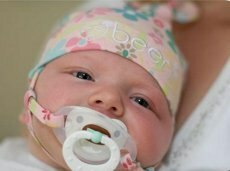 The firm is directly contacting consumers who purchased the recalled baby hats. For additional information, email Kahn Enterprises at info@beeni-kids.com, visit the firm’s website at www.beeni.net or call the firm collect at (612) 310-4053. About 600 Elna sewing machines are being recalled. A short circuit can cause a fire hazard. The firm knows of one report of a sewing machine catching fire. No injuries or property damage have been reported. 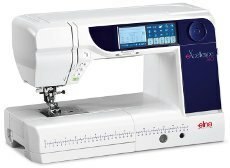 This recall involves the Elna eXcellence 740 sewing machine. The machine is white and navy with a digital touch panel. “Elna” and “eXcellence 740” are printed on the front of the machine. Sewing machine stores sold the machines nationwide from September 2010 through April 2011 for about $3,000. They were made in Japan and Taiwan. Consumers should immediately unplug and stop using the machine and return it to the store where it was purchased for a free repair.